As a matter of fact, the issue of gambling from someone else’s PC shouldn’t arise at all – if there’s no serious reason to do so. Playing from another PC (especially one at the internet club) can be compared to entering your credit card PIN with strangers watching. Despite the fact that online casinos keep improving their system of safety and user identification, every online casino client must carefully consider the issue of personal data safety. We can’t talk about comfortable and honest playing, if your login and password comes into the hands of swindlers that will gamble on your behalf using your money. Every year, such carefree approach results in players losing significant amounts of money. Upon receiving a relevant request, online casino’s customer support immediately blocks a suspicious account to hold an investigation. However, by this time swindlers manage to lose or withdraw all money. Due to safety issues, online casinos take several days to process a withdraw request, especially if some changes to personal information have been made. 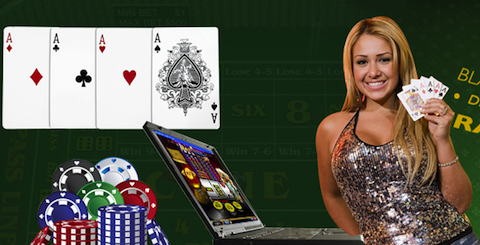 As a rule, during this period of time the user notices that some other person is using their account and notifies casino administration about it. Safety issue depends first of all on the user. Online casinos (and other institutions operating on the web) took measures to provide maximum safety of personal data long ago. Now it’s up to every single user. Remember that the place where you play is of key importance. We strongly recommend using only your personal computer, notebook, or mobile phone to launch an online casino application. Avoid gambling from internet clubs or other public places. Remember that your money safety is at stake here.